BEDFORD, NEW YORK (March 17, 2015) — For nearly thirty years, Alan Cheuse has been the “voice of books” as a commentator on National Public Radio’s “All Things Considered.” An acclaimed author in his own right, Cheuse has published five novels, four collections of short fiction, two volumes of novellas, a memoir, and a collection of travel essays. His writing has been hailed as “richly imagined” (New York Times Book Review), “superb” (Dallas Morning News), and “startlingly beautiful” (Booklist). Now, he joins forces with Fig Tree Books LLC, a new independent press with the mission to publish the best fiction of the American Jewish experience, to issue PRAYERS FOR THE LIVING (March 17, 2015; trade paperback; $15.95). 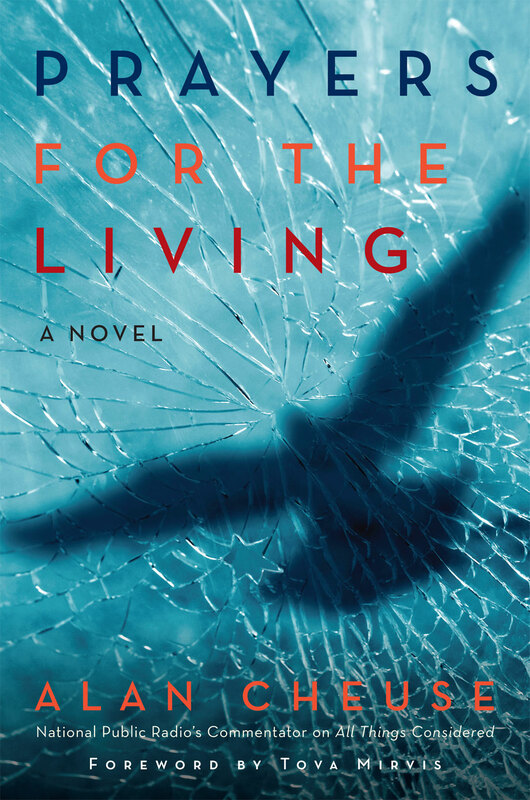 Featuring a foreword by Tova Mirvis, bestselling author of The Ladies Auxiliary, PRAYERS FOR THE LIVING is an epic family saga about the American Dream gone to pieces, replete with corruption, domestic violence, dark twists of fate, and personal chaos that takes place from the early to mid-twentieth century. First published in 1986 as The Grandmothers’ Club and called “a bitter, brilliant series of songs, heartless and tender…that reminds us how close art and chaos really are” (New York Times), the newly-revised PRAYERS FOR THE LIVING is told from the perspective of Minnie Bloch, a Jewish grandmother coming to terms with her family’s slow disintegration. It is presented in a series of conversations between Minnie and her companions, as she recounts the story of her son Manny’s fall from grace. Manny is a renowned rabbi who yearns for greater wealth beyond the respect and admiration of his congregants and family. When he receives what he believes is a message from his deceased father, he abandons his pulpit in pursuit of a life in business, and his entire life spirals out of control. As he becomes more successful in business, his personal life begins to unravel: He falls deeper into an affair with a congregant; his wife’s alcoholism and depression become more acute; and his daughter Sarah is sexually traumatized at a nearby college. Incapable of offering either his wife or daughter the support they need, Manny becomes the target of Sarah’s plot to shatter his beloved new empire. Profound, haunting, and engrossing, PRAYERS FOR THE LIVING is a multi-layered portrait of three generations collapsing under everyday burdens and brutal betrayals. About the author: Alan Cheuse has been reviewing books on All Things Considered since the 1980s. He is the author of five novels, four collections of short fiction, two volumes of novellas, a memoir (Fall Out of Heaven), and a collection of travel essays. Cheuse teaches writing at George Mason University near Washington, DC, spends his summers in Santa Cruz, CA, and leads fiction workshops at the Squaw Valley Community of Writers. Learn more at www.alancheuse.com. Fig Tree Books LLC; March 17, 2015; trade paperback; $15.95; ISBN-13: 978-1941493007; 387 pages. Fig Tree Books sources, publishes and promotes high quality, commercially viable novels that chronicle and enlighten the unique American Jewish Experience (AJE) in three ways: (1) by selecting new voices that have not had the opportunity to publish fiction previously in this genre; (2) by working with authors who have previously published novels, novellas and/or short stories; and (3) by re-publishing works that have gone out of print.